American architect Frank Lloyd Wright said, “Business is like riding a bicycle. Either you keep moving or you fall down.” The same is true for county government. And like our membership, the National Association of Counties (NACo) is definitely on the move as well. Not only are we poised to move into a new headquarters — co-locating with the National League of Cities in a first-of-its-kind local government innovation center in Washington, D.C. — but we are also on the move creating unmatched solutions for America’s 3,069 counties, parishes and boroughs. Through federal policy advocacy, leadership in public service, civic engagement and high-quality cost-saving solutions, we are focused on keeping america’s counties healthy, vibrant and safe. This year, we achieved several federal policy victories together. For the first time in a decade, we secured a long-term transportation bill. The Fixing America’s Surface Transportation (FAST) Act invests in county-owned roads and bridges, reverses the nearly $3 billion in cuts we endured in the previous bill and provides greater flexibility at the local level. We spearheaded renewal of the Payments in Lieu of Taxes (PILT) and Secure Rural Schools (SRS) programs. We represented county interests in federal regulations like the EPA’s “Waters of the U.S.” and ozone rules, the U.S. Department of Labor’s overtime rule, FEMA’s potential disaster deductible proposal and other unfunded mandates. Simultaneously, we worked to thwart proposals to reduce or eliminate the tax-exempt status of municipal bonds, the key financing tool that enables local governments and states to invest in schools, hospitals, roads and jails. We are elevating the county voice through targeted traditional media and social media outreach and dozens of events in Washington, D.C. — congressional hearings, Capitol Hill briefings, events with the White House and partnerships with think tanks and foundations. County leadership is on the front lines of addressing the most pressing challenges we face as Americans at the local level. From economic development to behavioral health and criminal justice reform to the opioid and heroin scourge in our communities, counties are making a positive difference in Americans’ lives. Our annual “County Economies” report demonstrated that while economic recovery accelerated across counties in 2015, we still have a long way to go before we return to, or exceed, pre-recession levels. We launched a program aimed at helping coal-reliant communities diversify their job base — promoting principles all counties can benefit from. Another project is designed to foster conditions for economic growth and job creation in the solar energy sector. The first full year of our Stepping Up initiative reached new heights with nearly 300 counties committing to pursue efforts to reduce the number of individuals with mental illnesses in jails. We also hosted the first-ever Stepping Up summit with our partners at the Council of State Governments Justice Center and the American Psychiatric Association Foundation. Fifty county teams joined national experts and policy leaders from the White House and Capitol Hill to advance effective local, state and federal efforts to make our communities safer while improving outcomes for those suffering from mental illness and substance abuse disorders. We also created the National City-County Task Force on the Opioid Epidemic with the National League of Cities and hosted meetings — including three virtual town halls — focusing on proven solutions and successful city-county collaboration. Counties strive to be excellent stewards of taxpayer resources, and NACo is delivering solutions to serve constituents and save money at the same time. Counties and other public entities have saved millions through the U.S. Communities Government Purchasing Alliance, which expanded this year to 41 suppliers to deliver the latest technology and many other cutting-edge services. We are focused on keeping america’s counties healthy, vibrant and safe. Through our partnership with Nationwide Retirement Solutions, the NACo Deferred Compensation Program has helped more than 1.5 million county employees save nearly $15 billion in retirement assets. The Live Healthy U.S. 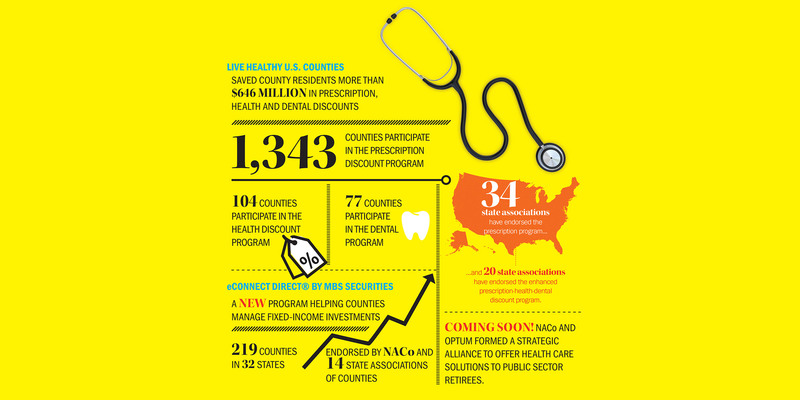 Counties program has saved residents $644 million in prescription, health and dental discounts. More than 1,340 counties are helping residents save money through this program. In the past year, we launched a mobile-friendly, award-winning NACo.org, rebranded our flagship publication County News and created more vibrant multimedia content, including web interactives and video. We also launched a new weekly email — CN Now — which features timely County News content, legislative updates and other information relevant to NACo members and allies. 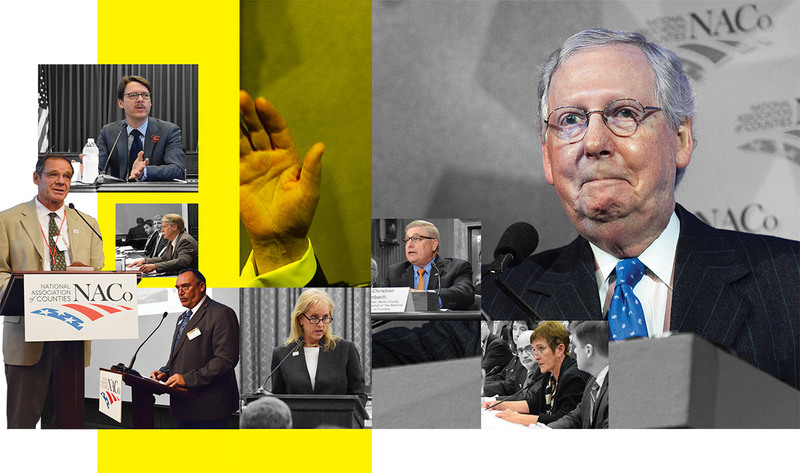 This Week in Photos showcases NACo and county leadership in action from the halls of Congress and the White House to our local communities. Our County Explorer online interactive data tool features more than 900 data points and county-specific information. With a million visits, County Explorer and NACo.org traffic increased by more than a third. It’s also noteworthy that visitors are spending more time in our digital space and accessing our web-based content far more than in the past. When we are united as NACo members, our voice at the federal level is stronger and our peer network positions us to better serve our residents. 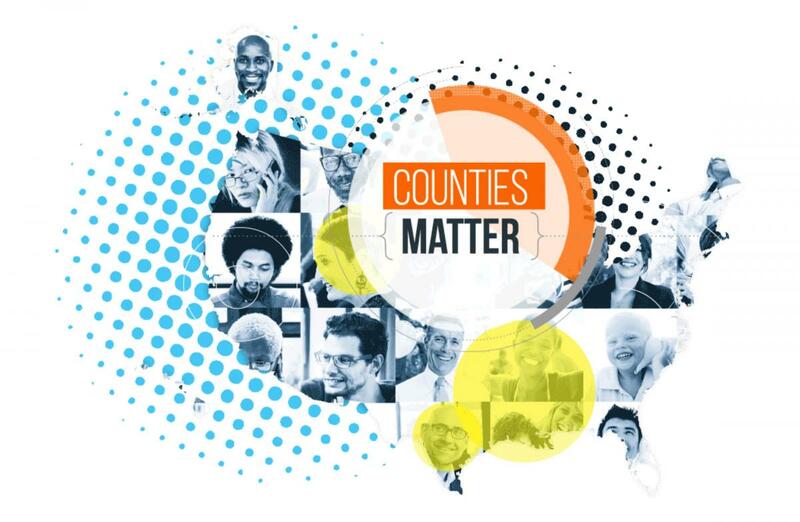 We built upon our civic engagement efforts by refreshing the popular Counties Matter campaign with a new look, updated data and a video that attracts more than 1,000 views a month. Our County Solutions school curriculum and Counties Work online game continue to educate students across the country. With half a million students using the curriculum and more than 1.23 million game plays in the past five years, we are helping to teach a new generation of young people to understand the important role counties play in every aspect of our lives. Working with our members, state associations of counties, affiliates and partners in the public and private sectors over the past 12 months, we have achieved tremendous progress. We’re poised to make even greater gains in the months and years ahead. 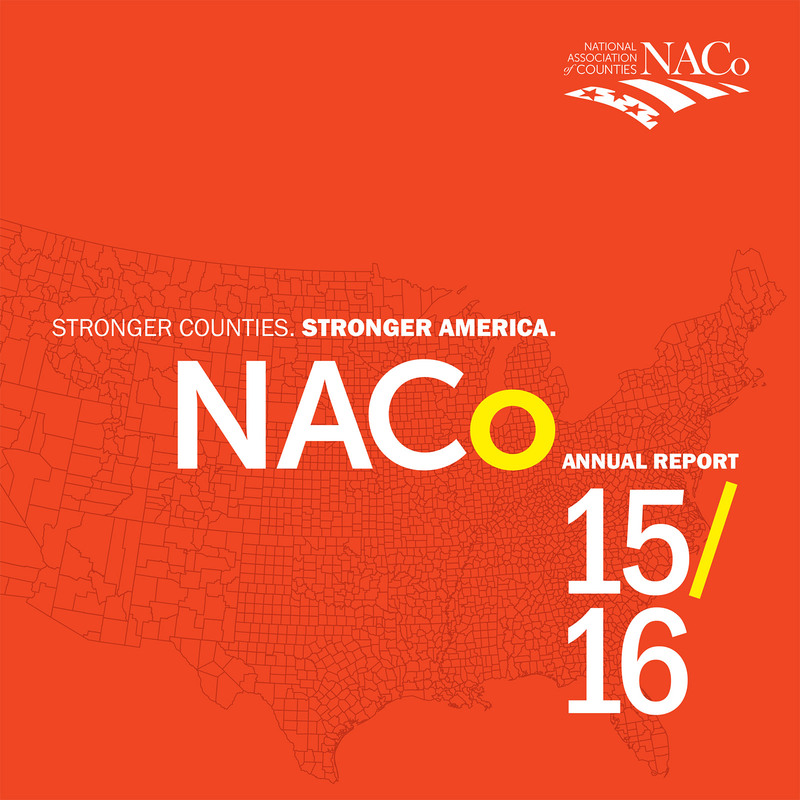 The NACo family includes counties, parishes and boroughs of every size and shape. 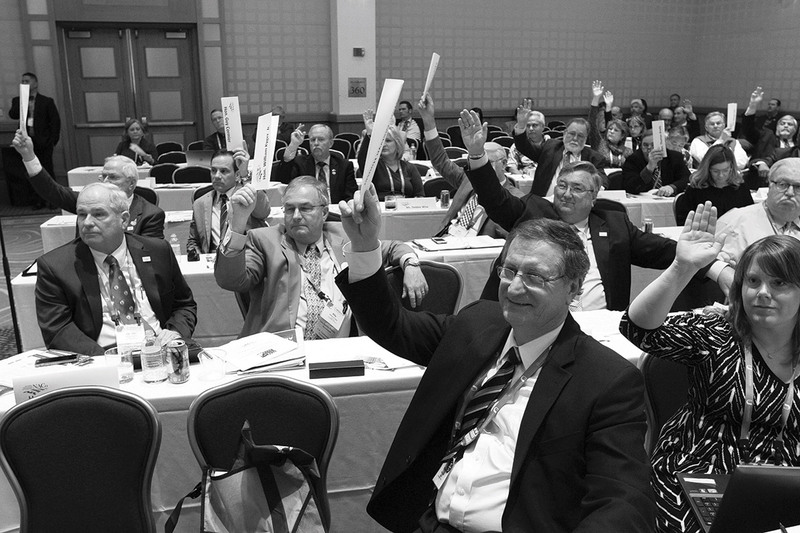 When we are united as NACo members, our voice at the federal level is stronger and our peer network positions us to better serve our residents. We are one NACo, making a positive difference for our communities and helping our residents and our nation succeed. Thank you for all you do to build stronger counties, resulting in a stronger America. 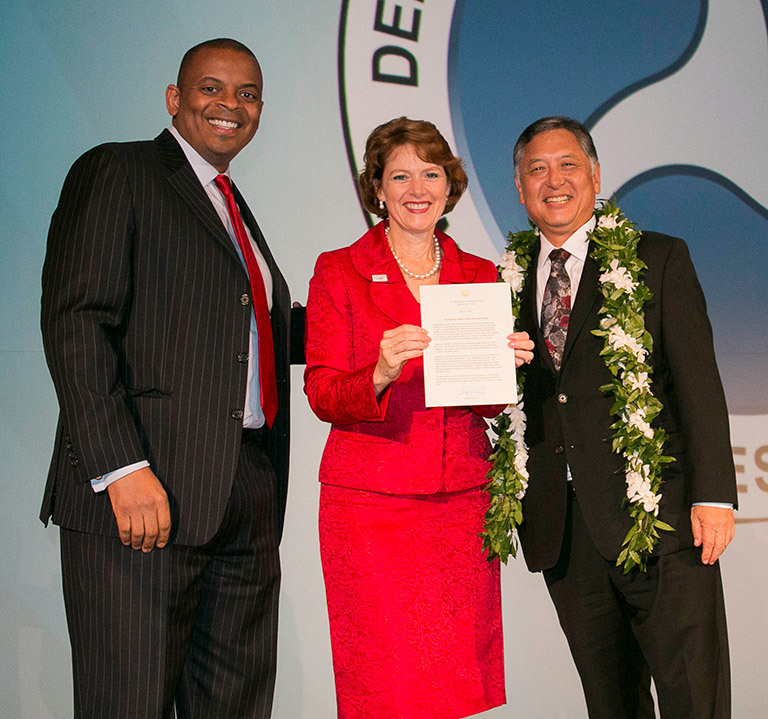 At the 2015 NACo Annual Conference, U.S. Secretary of Transportation Anthony Foxx signed a resolution reflecting the need to improve safety on county-owned roads and affirming the U.S. DOT’s commitment to work with NACo to improve road safety in America’s communities. In partnership with the Federal Highway Administration, NACo hosted workshops to encourage action to keep county roads safe and secure. We published a series of articles in County News and held webinars highlighting steps counties can take to promote transportation safety. 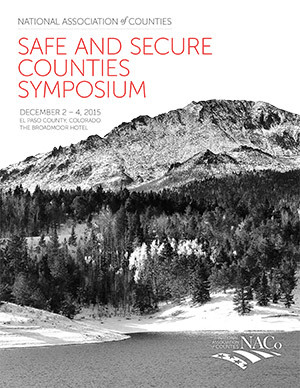 President Clark hosted NACo’s Safe and Secure Counties Symposium in El Paso County, Colo. with more than 200 county officials focusing on strengthening safety and security in communities across the country. Educational sessions with national experts provided concrete tools for counties to enhance emergency management, natural disaster response and preparedness, cybersecurity, criminal justice reform, mental health and public safety, economic development and crisis communications among other topics. National County Government Month built on NACo’s Counties Matter campaign and highlighted the Safe and Secure Counties theme through media events, coloring contests in schools, social media outreach, county government open houses, town hall meetings and other activities to showcase how counties keep our communities safe and secure. The initiative helped NACo members exchange county-driven practices and policies on everything from emergency preparedness to jails and courts, infrastructure to public health and wildfire prevention and mitigation. The first long-term transportation bill in a decade, the FAST Act provides greater certainty to counties and invests more than $100 billion over five years to repair the cuts counties sustained under the previous transportation bill. It also puts an additional $3 billion in the hands of local decision-makers. ON BEHALF OF NACo, COUNTY LEADERS PARTICIPATED IN MORE THAN A DOZEN CONGRESSIONAL HEARINGS AND FEDERAL POLICY BRIEFINGS. NACo, the Council of State Governments Justice Center and the American Psychiatric Association Foundation launched the initiative in 2015, and more than 285 counties in 41 states have passed resolutions or proclamations to join Stepping Up and take action at the local level. 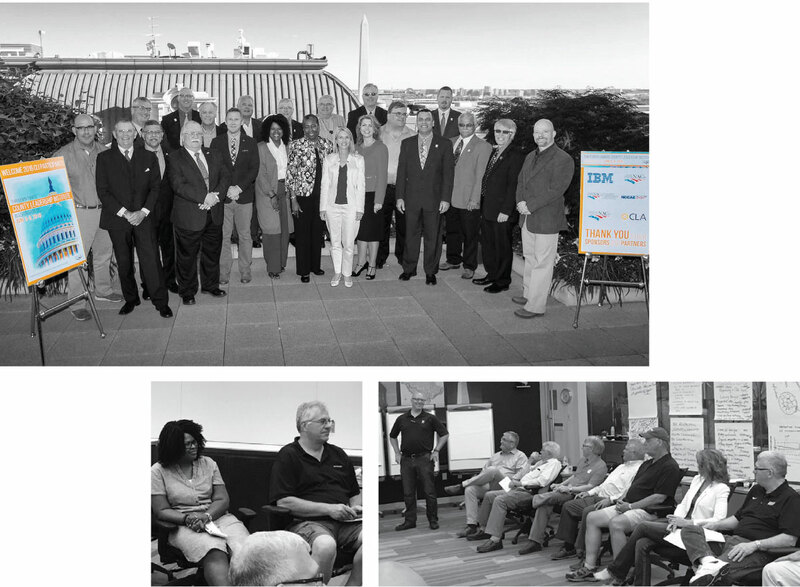 The National Stepping Up Summit took place in April 2016 with 50 county teams meeting in Washington, D.C. to develop and strengthen plans to reduce the prevalence of mental illness and substance use disorders in jails. 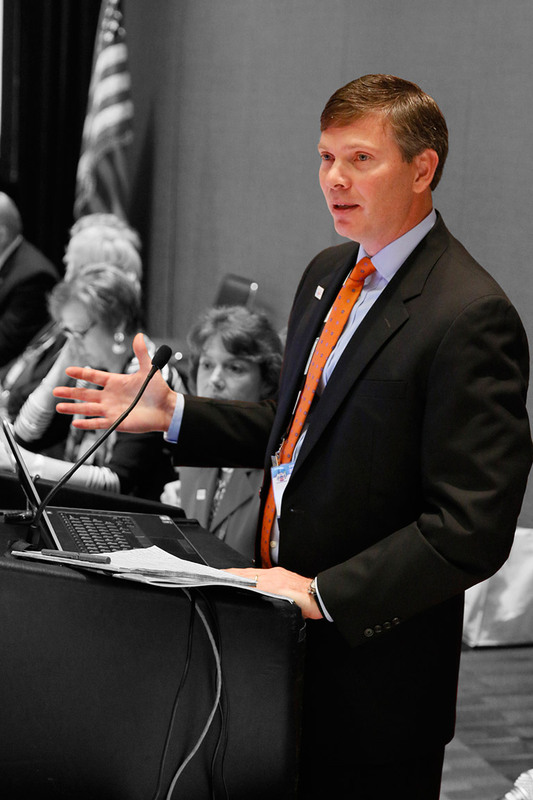 NACo hosted six webinars and several in-person workshops. We developed StepUpTogether.org, a resource toolkit, publications and case studies. NACo and the National League of Cities created a joint national task force, comprised of city and county leaders, to enhance awareness, facilitate peer exchanges and identify sound policy and partnership solutions to address our nation’s opioid and heroin crisis. In partnership with the U.S. Economic Development Administration and the National Association of Development Organizations Research Foundation, NACo led a program to support county and regional leaders in retooling economies to become more resilient to changing conditions. More than 200 individuals from 42 counties participated in three intensive, hands-on workshops designed to boost the innovative potential of coal-reliant counties and regions seeking to grow and diversify their economies. At the National Council of County Association Executives meeting in Washington D.C., NACo officers joined state association presidents and executive directors for a White House briefing at the Eisenhower Executive Office Building. NACo developed a new clearinghouse of resources related to transitioning economies, based at DiversifyEconomies.org and released a podcast and other materials. NACo and the White House Rural Council launched an initiative to support counties in combating chronic rural poverty. Fifty counties have signed up to receive support in building partnerships and exchanging best practices and policy solutions. NACo partnered with the Aetna Foundation, the American Public Health Association and CEOs for Cities on a $1.5 million prize competition, the Healthiest Cities & Counties Challenge. The Challenge aims to improve health outcomes and promote health, wellness, equity and social interaction through practical, evidence-based strategies and cross-sector collaboration. 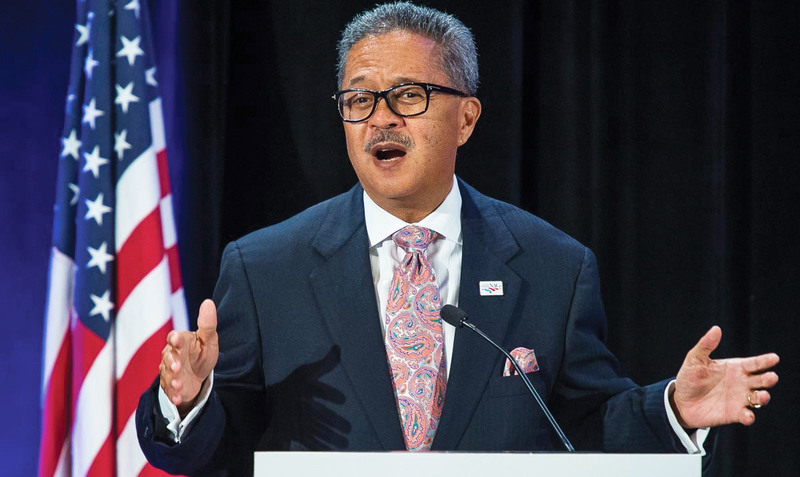 NACo worked to strengthen local jurisdictions’ ability to address the challenges of creating a culture of health and to help county officials take a leadership role toward positive community health impact. NACo helped to disseminate the annual County Health Rankings, conducted by the University of Wisconsin Population Health Institute, which provides a snapshot of the health of county residents across the country. 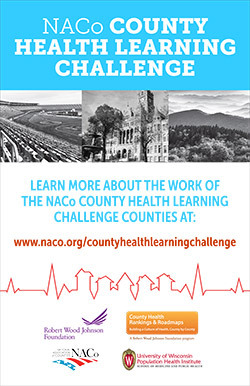 NACo launched the County Health Learning Challenge. Cabarrus County, N.C.; Knox County, Tenn.; and Salt Lake County, Utah were selected to participate in a year-long effort to strengthen cross-sector partnerships, identify potential action and implement data-driven strategies to build healthier communities. In partnership with The Solar Foundation and the U.S. Department of Energy, NACo launched the SolSmart program in spring 2016 to help counties cut red tape, reduce process or administrative costs and attract new solar jobs in installing solar energy systems. NACo convened teams from seven counties (Boone County, Mo. ; DuPage County, Ill.; Durham County, N.C.; Eau Claire County, Wis.; Lancaster County, Neb. ; Linn County, Iowa; and Ramsey County, N.D.) to engage with juvenile justice experts and each other to learn about integrating systems and improving outcomes. Technical assistance is ongoing, including resource dissemination, regular follow-up conversations and connecting teams with additional experts. This work is supported by the John D. and Catherine T. MacArthur Foundation. county officials to learn from criminal justice experts and engage in peer-topeer learning to reduce the unnecessary use of county jails. providing services to veterans and national criminal justice reform efforts. The Innovations in Transportation and Technology: County Leadership Peer Exchange, held in Johnson County, Iowa, brought together 26 county officials with state and national leaders. 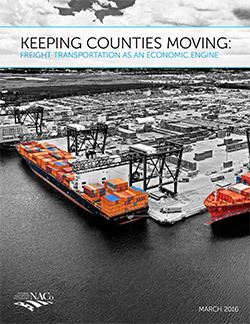 The Keeping Counties Moving: Innovations in Transportation Peer Exchange, held in Alameda County, Calif., convened 24 county leaders and regional, state and national experts. 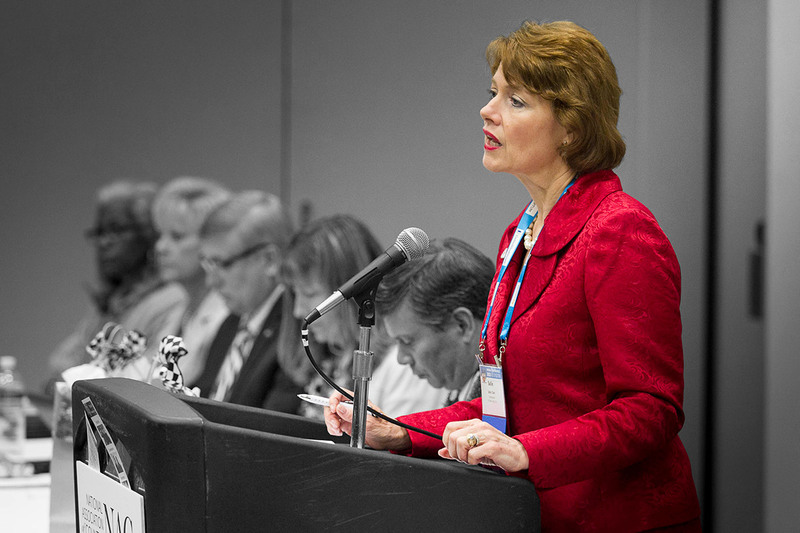 NACo hosted nearly 100 webinars with more than 6,100 attendees, including dozens of professional leadership development opportunities, primarily educational workshops and webinars on topics like integrity and civility, effective meetings and communications and buildng a leadership legacy. In partnership with Harvard University’s Ash Center for Democratic Governance and Innovation, NACo brought together 20 county elected executives for a peer exchange focused on county innovation and leadership development. The annual forum showcases cutting-edge community solutions being tested by county leaders. Twice each year, NACo hosts two powerful forums and peer exchanges with county elected officials and CIOs, along with corporate leaders. Centered on technology-based policy issues and program solutions, this year’s events focused on cybersecurity, data tools and decision-making, and emerging transportation issues such as drones and autonomous vehicles. The events also highlighted workforce ideas, public engagement practices and the federal FirstNet interoperability project. Through our partnership with state associations, we hosted the 13th annual County Leadership Institute, a rigorous, four-day program to enhance leaders’ capacity to identify and implement innovative solutions to the complex challenges we face. This year, we added a representative from the Next Generation NACo Network. At the National Council of County Association Executives meeting in Washington D.C., NACo offcers joined state association presidents and executive directors for a White House briefing at the Eisenhower Executive Office Building. An expansive IT contract with Insight Public Sector, DLT and Carahsoft offers products from Apple, Google, Microsoft, Dell, Cisco, EMC, Hewlett Packard, Amazon Web Services and Panasonic... ...and specialty vehicles with Farber, from bookmobiles to bloodmobiles. We partnered with Premier, Inc. and Adapt Pharma to offer leading discounts on Narcan, the only FDA-approved, ready-to-use nasal spray version of naloxone hydrochloride, a life-saving medication that can stop or reverse the effects of opioid overdoses. have endorsed the enhanced prescription-health-dental discount program. A new program helping counties manage fixed-income investments. 219 counties in 32 states Endorsed by NACo and 14 state associations of counties Coming Soon! NACo and Optum formed a strategic alliance to offer health care solutions to public sector retirees. 2.5 times more county economies recovered on unemployment rate in 2015 than the previous year. Only 7 percent of county economies recovered on four key economic indicators by 2015. 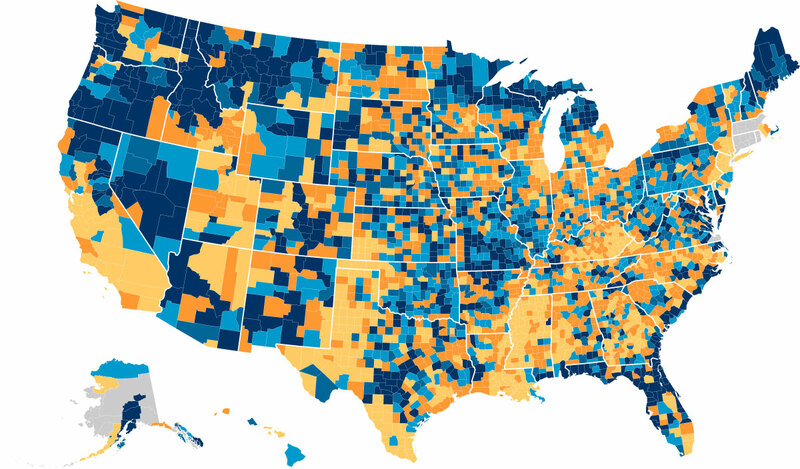 Nearly 16 percent of county economies had not recovered on any of the four indicators. County News also went weekly with a new digital counterpart sent to 39,000 email addresses, CN Now, which carries up-to-date news from Capitol Hill, the administration and NACo practice areas, in addition to featuring articles from the most recent County News. An interview with Michael Botticelli, director of the White House’s Office of National Drug Control Policy, set the stage for County News’ Hot Topics special report on the plague of opioid abuse. The full video interview with Director Botticelli was released in the web edition of County News and debuted at the 2016 Legislative Conference. We made the “Find a County” feature mobile-friendly and integrated it into County Explorer. The revamped tool continues to be NACo’s most viewed digital product, with nearly 972,000 additional sessions and more than 2 million page views. Our Counties Work online game and County Solutions curriculum with iCivics had 4,400 teacher curriculum downloads and reached approximately 550,000 students as well as more than 1.23 million game plays in the past five years. Creating a first-of-its kind local government innovation center in Washington, D.C., NACo and National League of Cities (NLC) will co-locate our headquarters at 660 North Capitol Street in late 2016. The move allows Washington’s two leading local government organizations to leverage each other’s expertise and coordinate efforts to help thousands of local leaders build stronger communities, advocate on national issues and raise the public’s understanding of county and city officials. The new headquarters, designed collaboratively, will help advance NACo and NLC’s mutual priorities and foster innovative partnerships. Just blocks from the Capitol, the co-location will occupy three floors of the building and house state-of-the-art conference and meeting spaces. The building will meet the USGBC’s LEED Gold certification for green building. 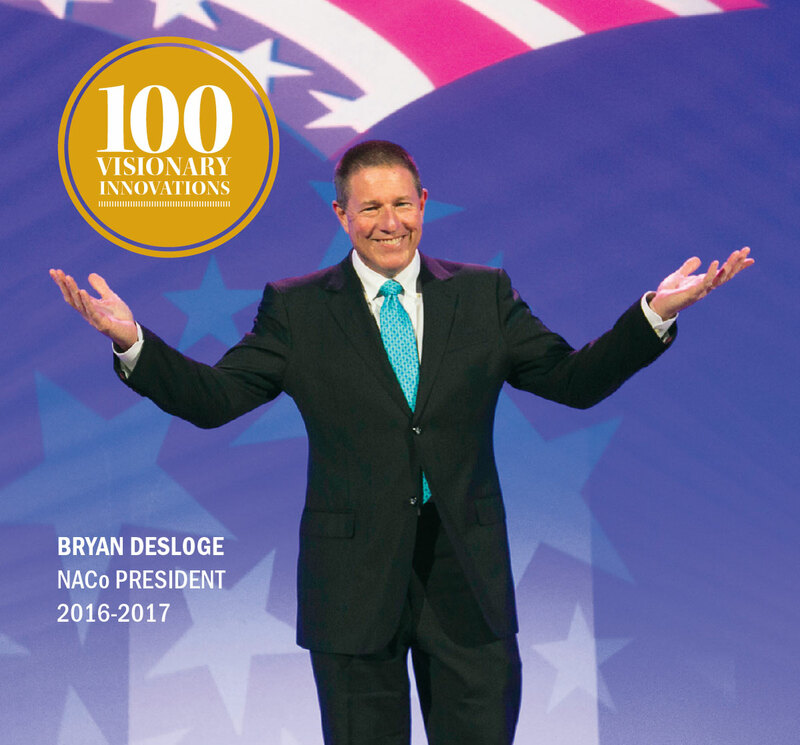 Under the leadership of incoming NACo President Bryan Desloge, NACo is launching a friendly competition in 2016 and 2017 to identify and share 100 examples of visionary county leadership that results in improving residents’ quality of life. In conjunction with NACo’s Achievement Awards and working with members, affiliates and state associations of counties, we will build an honor roll that highlights county innovation at its best. Through this presidential initiative, NACo is working with county leaders and partners to share best practices that bolster our nation’s ability to thrive amid ever-changing physical, social and economic conditions. Though no two of America’s 3,069 counties are alike, many face similar challenges and learn from one another’s experiences. To remain healthy, vibrant and safe, counties anticipate and adapt to challenges creatively, demonstrating local leadership that makes a difference in people’s lives. 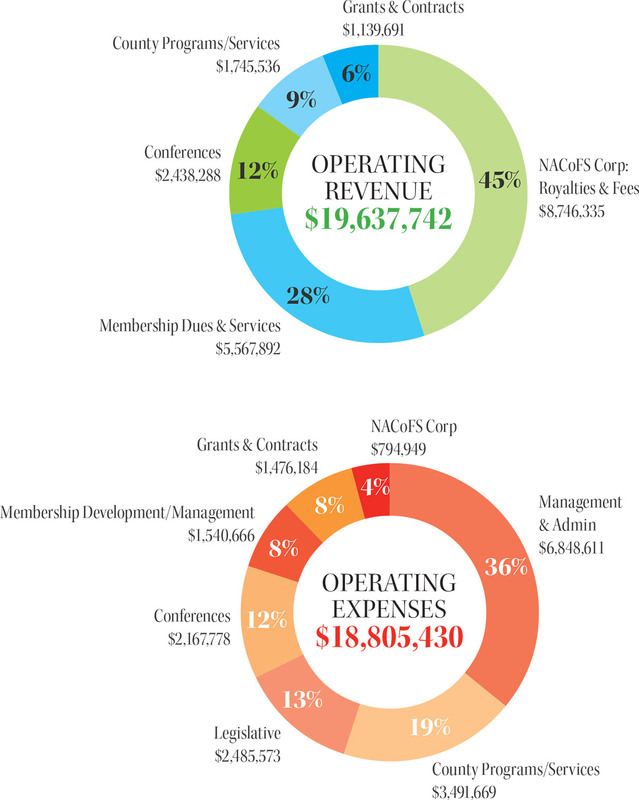 NACo ended the 2015 fiscal year with a net operating surplus of $832,312 or 4 percent of total operating revenue. Revenue grew 7.9 percent to $19,637,742, primarily led by continued growth in sales from the U.S. Communities purchasing alliance. Member programs and services expenses and operation management expenses held at 1.8 percent growth to $18,805,430. Michigan Works! The Job Force Board, Mich.
St. Martin Parish , La. The Hon. William B. Kyger Jr. The Hon. Mark H. Luttrell Jr.
Louisville Jefferson County Metro Government, Ky.
Mr. J. Glenn Osborne Jr.